Multi day trips can last from 1 to 7 days, discounts available. We would be happy to help you organise your trip, finding campsites or B&B's along the way. 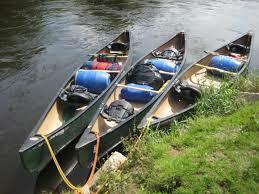 The River Wye is a beautiful unspoilt river offering paddlers a trip through a great landscape with its varied wildlife. Hire is available for half, full and multi day trips. Return transport provided free for all trips.